Do you run to clear your mind from work? Are you consciously doing it or are you pushing yourself with unnecessary pressure? Today I am talking with Carmen Low about how to incorporate mindful running into your life to help you clear your mind but also bring in a level of awareness into your life. 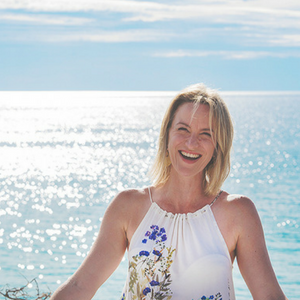 Carmen is about all things Mindful – in Coaching, Running and Living. She is a running and a life coach. She is teaching women how to be more present in their daily lives and is using running as a platform to slow down. I have known Carmen for years, she was my kinesiologist when I was living in the city and she was my very first client who wanted marketing and branding her business it was a fun project for me fast forward 10 years later I do this for a living and she is still inspiring people to hone in on their awareness and passion. Here is what to expect in today’s episode. A discussion on all things mindfulness, awareness and consciousness and how that is in both life, business and running! Oh I loved this episode even though I am not a runner! It was a great reminder to stop and really think about what we want to do compared with what we should do and pushing hard all the time. Glad you enjoyed listening Bernie. Liz puts on a great show! We often forget, or get too busy, to take the time to listen to ourselves and the feedback it’s trying to give us. Routines are great…when they are working for us. We just need to check in from time to time, to see if our routines are still healthy and current. Exercise is just one of these things. Exert less to achieve more.. Thanks for your feedback Bernie.